A mother. A child. Separated at Christmas. When a toddler goes missing, Constable Jack Merrick answers the call for help. Tagging along Julia Thom, schoolteacher and part-time sleuth finds herself pressed into service to help solve the mystery of the missing boy. 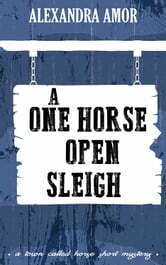 As winter darkness and cold descend, little Henry’s family becomes more frantic about his whereabouts, and Julia knows time is running out to find the boy. Who in the seemingly close-knit family wanted the child to disappear? 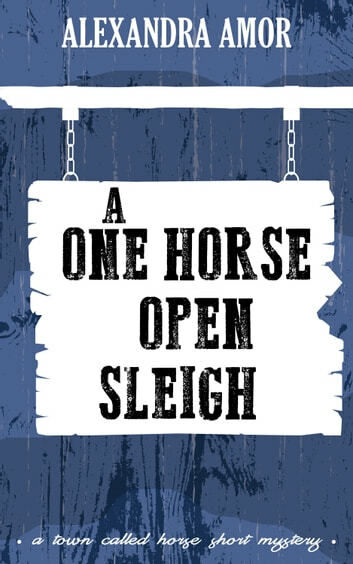 A One Horse Open Sleigh is part of a new series of short historical mysteries from award-winning author Alexandra Amor. If you like mysteries with a strong female lead, that put you on the edge of your seat, and focus on the relationships as much as the plot, then you'll love this heartfelt examination of life in frontier British Columbia. Frontier Canada filled by good people and a wholesome story of not only mystery but of the lifestyle the pioneers lived. Interesting characters and a well written short story. A very good quick read.